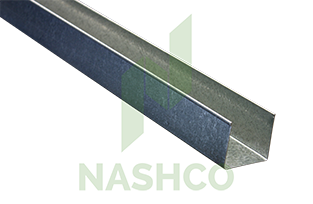 51mm Track is used as a component of the Nashco Steel Stud Wall Framing System. 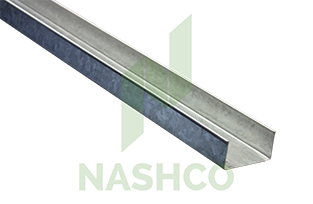 Nashco 0.50bmt Track includes a safety hem on the upper edge to minimise the chance of cuts and abrasions. Track is secured to the floor or ceiling with a fixing secured through the back of the Track. Studs are then held into the Track with a fixing through either leg. Standard 32mm Track can only be used as a top track where there is no deflection in the supporting structure. If the supporting structure has likely deflection, 50mm Deflection Head must be used in replacement of Standard 32mm Track for the top track. 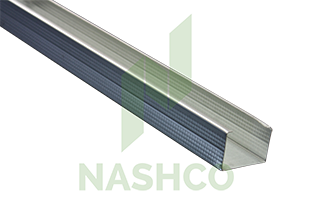 Commons applications of Standard 32mm Track include office partitions and walls that aren’t secured to the underside of a roof structure.